Twenty years have passed since world leaders offered an unconditional surrender to alien forces and XCOM, the plant’s last line of defense, was left decimated and scattered. Now the aliens rule Earth, building shining cities that promise a brilliant future for humanity on the surface, while concealing a sinister agenda below and eliminating all who dissent from their new world order. Only those who live at the edges of the world have a margin of freedom. Here, a force gathers once again to stand up for humanity. Always on the run, the remnant XCOM forces must find a way to rise from the ashes, expose the insidious truth behind the occupation, and eliminate the alien threat once and for all. Before I get started I will say that I was very excited when I first heard news that Firaxis Games was continuing with the XCOM franchise. Not so much for the story, but mainly for the game play. This is a game that requires a lot of tactics and twice as much luck. A lot of other review sites are singing it’s praise, but I’m going to say it how it is with all its flaws and achievements. I personally enjoy this game, but this is far from deserving the highest accolades that many others are singing. While the graphics are a huge improvement over XCOM: Enemy Within, they are a far cry from what modern gaming systems are capable of. Occasionally the camera will drift off into a building during an action sequence, so all you see is the roof. There are a variety of other simple UI and graphics issues that should have never been an issue to begin with. For the most part the graphics are sharp, crisp and clear, but still feel far more cartoony than they should. The cut scenes are pre-rendered so they look much better than the game play. Without spoiling too much, but it feels like they tried to pull something out of JJ Abrams playbook. The commander is captured, the council collapses, World leaders surrender to the aliens (Advent) and XCOM is left in shambles. While the ending of XCOM: Enemy Within eluded in the least subtle ways possible that this wasn’t over, it ended in a huge victory and yet XCOM 2 starts off 20 years after the Alien occupation began. That just doesn’t make any sense, but it was never an epic story to begin with. Plenty of poor writing, and cheesy acting. Then again, I don’t play XCOM for the story anyways. Another point of contention for me is the removal of one my favorite types of squad members. Again, I don’t want to spoil anything, but you won’t be bashing through walls anytime soon. This is a turn-based strategy game that is heavily reliant on tactics…and luck. Actually, luck plays WAY too much of a factor. I shouldn’t “miss” when I am right in front of the enemy. Fortunately for us, the AI has the same problem. 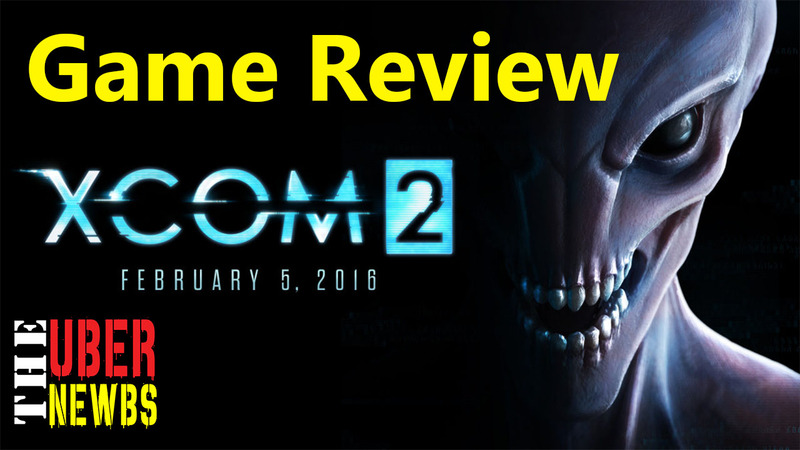 I really think the mechanics in XCOM: Enemy Within were much better, they didn’t feel nearly as reliant on “luck” as XCOM 2 does. That is probably the biggest detractor, but I will also say that the maps feel a bit unbalanced. I always save at the start of my mission so I can start-over when I put myself in a really bad position, but there are some maps where you were pre-destined to fail no matter what. I do like the permanent death of your squad members when they die in combat. It really makes you want to take less risks, especially when you have spent weeks getting a full squad maxed out, only to have your favorite character get ravaged by a berserker. There really isn’t any “lore” to discover. It wouldn’t fit that much in this game anyways. Sure, you get random items that can be researched for added dimension to the story as well as unlocking items to build to equip on your soldiers for perks, but there isn’t any lore to be “discovered” that ads real depth to the game. I’m reluctant to give it that many stars, because again it feels way too random. I enjoy the variety of items you have to try and recover, from Engineers and Scientists, to supplies and components; however, its a total crap shoot on what you get most of the time. For instance, say you really want to up the number of scientists you have. Well, you have a 50/50 chance of getting a scientist from gorilla missions but you don’t know what you’ll have a chance of getting until the mission spawns. Rarely do you have more than 1 mission available at a time. Speaking of time, that is definitely one of the items you will never have enough of and you WILL have to make tough choices because you won’t have time to save everybody. Heck, if you’re lucky you’ll be able to help the people you actually try to help. While I do enjoy just how challenging this game is, the replay level is low if existent at all. Sure, there is multi-player mode if you can ever find another player that is playing. Most multi-player modes give you 90 seconds per turn, and then another 30 seconds for the system to catch up before the other player starts. There is definitely some latency, as the guy I played last night was seeing my moves after I ended my turn. For the multi-player you get 10,000 points to build a squad, but most XCOM operatives cost 2,500 base while ADVENT Soldiers cost 200. The unit costs range from 200-6,000 and you have 6 total slots, so choose wisely. While this game doesn’t score very high overall, it’s nostalgic turn-based play style leaves this as one of my favorite casual games. The tactics involved need a little bit of tweaking, because it doesn’t quite work the way it was intended. You set-up an ambush, but the enemy get’s to shoot first…all just seems wrong.